With more than 30 years of experience at one familiar location, this family-owned business has become a steadfast, reliable service agent to meet all of your collision, customization and restoration work. Everyone knows that cars emit pollutants. 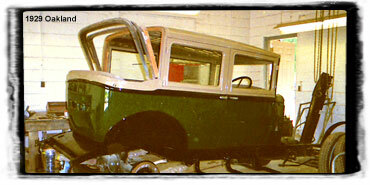 But most people don’t think about the effects autobody work has on the environment. That’s why at M&R Autobody, we are currently upgrading both the facilities and our lean manufacturing process to reduce airborne pollutants and make a cleaner Durham Region. Just another way we are serving the community. By analyzing every step within our production cycle, we are able to determine the best ways to reserve time and resources. This is at the forefront of our minds at all times. Some autobody shops may feel it’s enough to find a good process and stick with it. But at M&R Autobody, we have found if you want to stay competitive and offer a great service for over 30 years, continuous improvement is key. Both with our clients and suppliers. By building and maintaining long-term relationships with our suppliers, it means we are better positioned to a build long-term relationship with you, our client. We never have to worry about a shortage of supplies or materials – or worry that we are not receiving the best price. For you, our constant efforts to reduce waste, continuously improve and build long-term relationships means that you can rest assured knowing you are receiving the highest quality work, at the fairest of prices. weld the new pieces on, filler, sand, prime, paint… Maybe oversimplified, but essentially true – we’ll handle your baby as if it’s our own. Now let’s change the original statement. Instead of a car being repaired after a collision, it’s a 1929 Oakland and it’s been sitting in a barn for 40 years? First problem, you can’t buy parts. Cars back then had a lot of wooden parts and most of them on this particular car had rotted away. This is where experience, knowledge, and yes, creative flair can restore what was a heap of rust back into the gem it was in those flapper days. For more information, or a free, no-obligation consultation, feel free to call - 905-985-8592. 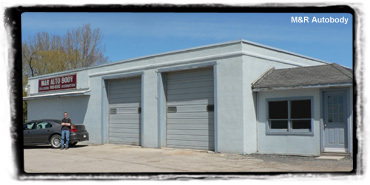 M&R Autobody is a local Port Perry area auto body shop. We fully service Ajax, Whitby, Uxbridge, Oshawa, and the whole Durham and GTA area. We specialize in classic car restoration, collision repair, performance improvements which include custom performance parts and body kits, and all areas of auto detailing and finishing. For more information on M&R Autobody or any of our Port Perry area services, please look around our site or contact us at 905-985-8592.